With Sarah Walker. My Favourite Monteverdi Madrigals; Music in Time: Lotti's Crucifixus; Proms Artist of the Week: Semyon Bychkov, who conducts Wagner: Lohengrin (finale of Act 3). My favourite... Monteverdi madrigals. There's an Italian flavour in the air this week as Sarah shares a selection of her favourite Monteverdi madrigals. These works condense extraordinary depths of feeling into just a few minutes and range from tales of ardent lovers and the cruelty of fate, to musical evocations of nature and the battlefield. We'll hear madrigals spanning Monteverdi's lifetime, including the progressive Fifth Book with its striking dissonances, and one of his most celebrated masterworks, the Eighth Book: Madrigals of Love and War. The line-up includes the sensual and theatrical Lamento della ninfa ('The nymph's lament'), Hor che'l ciel e la terra ('Now that the sky and the earth') and the melancholy O gloriose martyr. 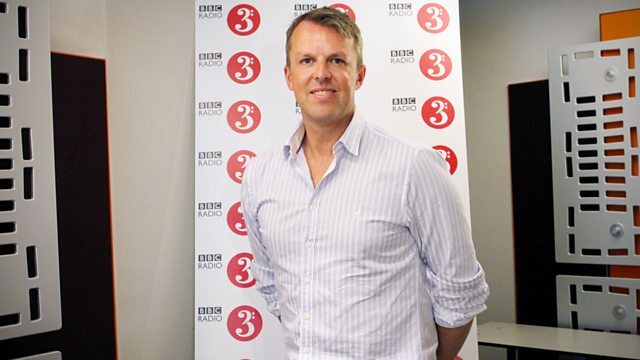 Sarah's guest is the cricket broadcaster and former international cricketer, Graeme Swann. Graeme was part of three Ashes-winning teams and was regarded as one of the greatest spin bowlers in the world. In his 60 Test matches Graeme took 255 Test wickets, a total that put him sixth on the all-time list of English bowlers. He also made dozens of one-day international appearances and Twenty20 internationals, being part of the team that won the T20 World Cup in 2010. Since retiring from cricket, Graeme has been a summariser for the BBC's ever-popular Test Match Special. Throughout the week Graeme will be talking about his cricketing career and sharing a selection of his favourite classical music, including works by Mozart, Tchaikovsky and Ravel. Sarah places Music in Time with music from the Baroque period. Antonio Lotti is known today primarily for his Crucifixus which is in fact not a self-contained work but a movement from a complete setting of the Credo text. Sarah explores the fuller context of this much-loved choral gem. Sarah's Proms Artist of the Week is the conductor Semyon Bychkov. A master of large-scale works, Bychkov has excelled in Romantic and twentieth-century repertoire, particularly from the Austro-German and Russian traditions. Sarah explores a different aspect of the conductor's work each day, including his Russian roots in a much-celebrated account of Shostakovich's 11th Symphony; his time as Music Director of the Orchestre de Paris, which he conducts in Poulenc's Les Biches; the tremendous success he's had as an interpreter of opera (featuring the conclusion of Wagner's Lohengrin, which was voted BBC Music Magazine's Record of the Year in 2010); and finally his collaborations with his piano-duo wife and sister-in-law, the Labèques, who he joins at the keyboard in a performance of Mozart's Concerto for 3 Pianos, K.242. Choir: The Consort of Musicke. Singer: Emma Kirkby. Singer: Paul Agnew. Singer: Alan Ewing. Director: Anthony Rooley. Performer: Albrecht Mayer. Orchestra: Berliner Barock Solisten. Conductor: Rainer Kussmaul. Performer: Susan Manoff. Singer: Véronique Gens. Performer: Beatrice Harrison. Performer: Margaret Harris. Ensemble: The Syred Consort. Orchestra: Orchestra Of St Pauls. Director: Bee Palmer. Singer: Johan Botha. Singer: Adrianne Pieczonka. Singer: Kwangchul Youn. Singer: Petra Lang. Orchestra: WDR Symphony Orchestra Cologne. Choir: WDR Rundfunkorchester Köln. Choir: NDR Chor. Choir: Pražský komorní sbor. Conductor: Semyon Bychkov. Orchestra: Les Musiciens du Louvre-Grenobles. Conductor: Marc Minkowski.